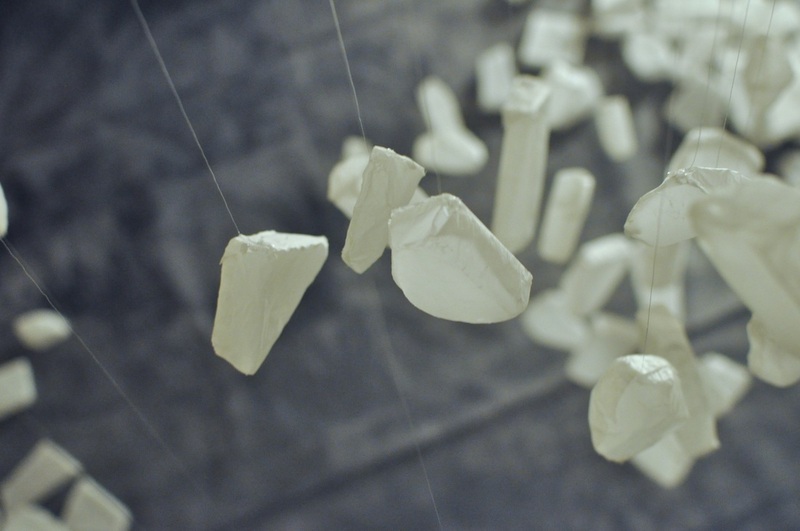 This annual exhibition shows 20 rooms of the famous Athenian Hotel transformed by different curators and artists. 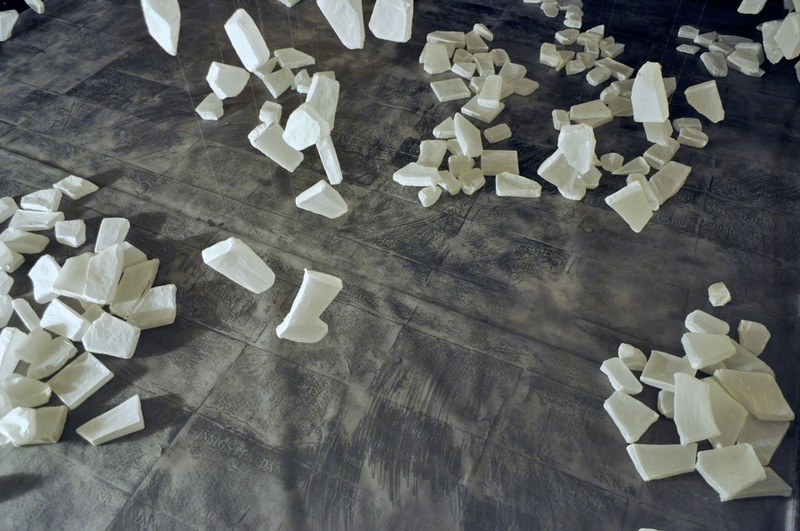 The room 521 was curated by Maria-Cybèle Maurocordopoulou. 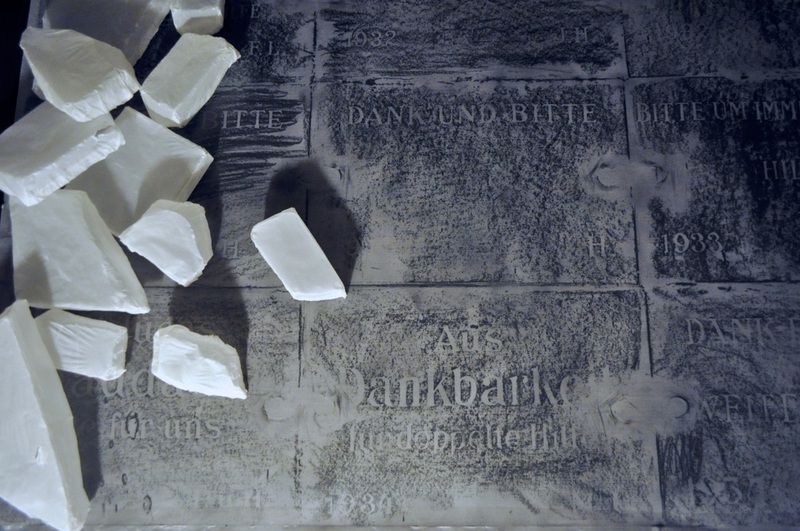 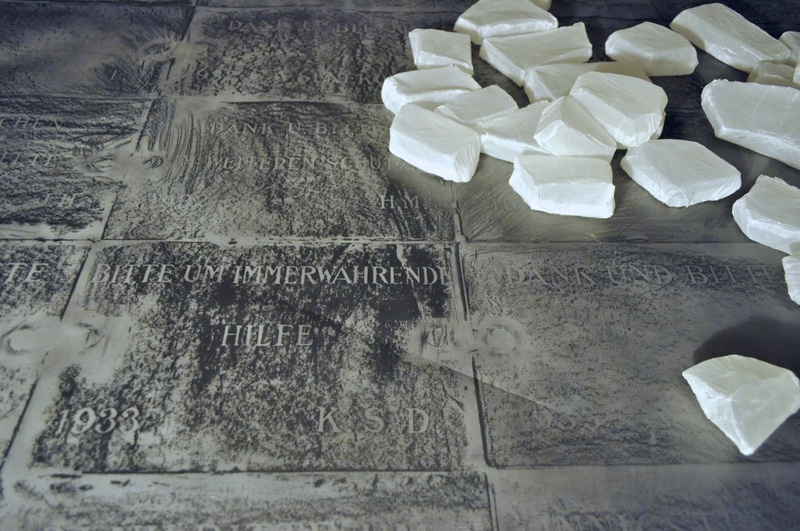 In this installation the whole of the room’s floor has been covered with rubbings from votive plaques taken from the Michaelerkirche in Vienna. 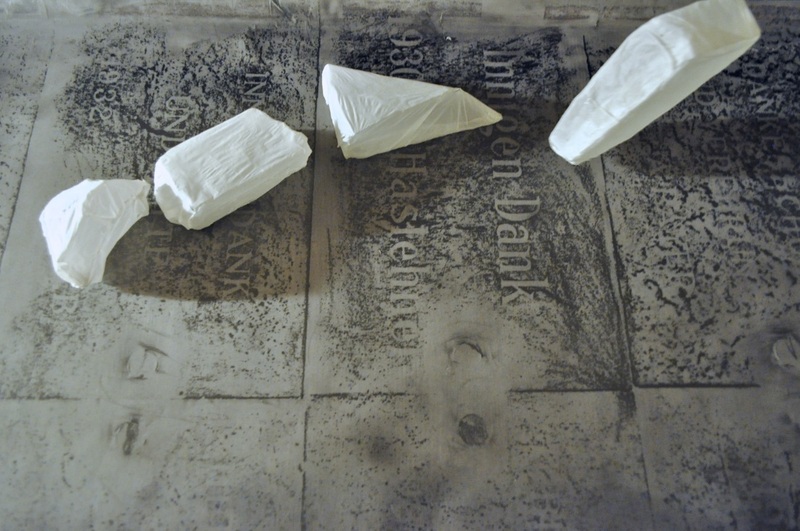 The “Ex Votos” shown are from 1930 to 1936, a time filled with political unstableness, unemployment, hunger, anxiety and the rising of the far right wing political parties - just before the “Anschluss” to the German Reich in 1938. 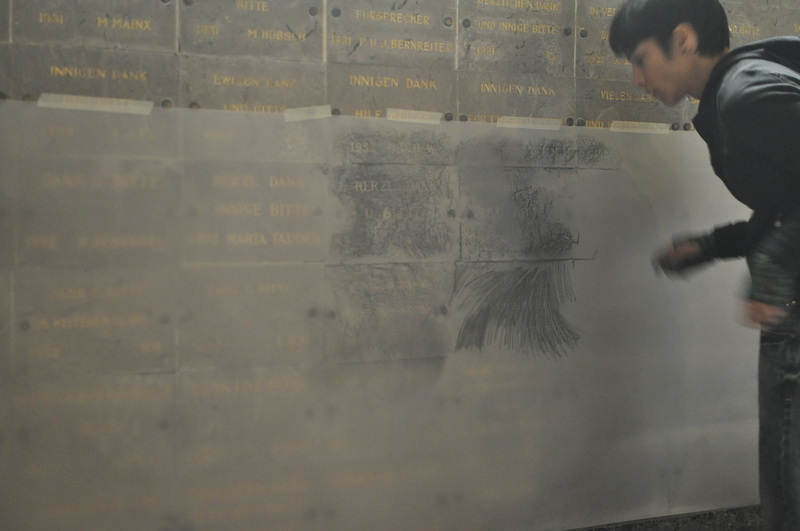 The rubbings are put in dialogue with the artist’s paper stones which are very light and fragile, some of them hanging above the votive plaque frottage to suggest the spiritual context they are given in this installation. 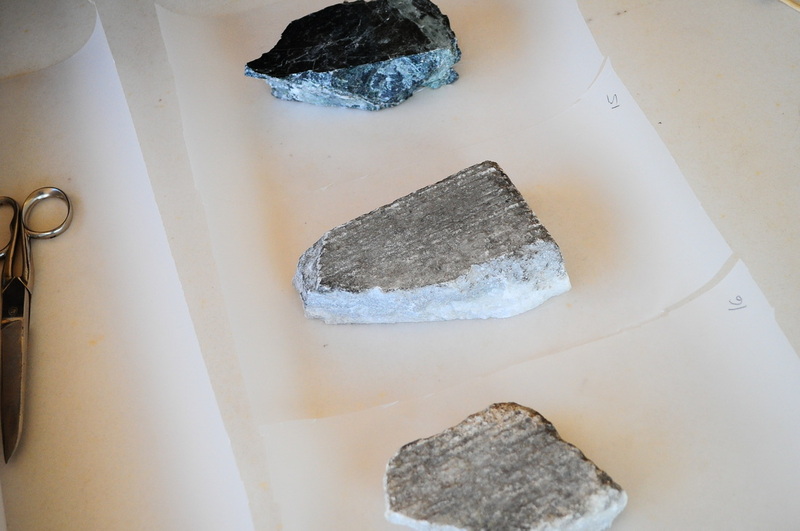 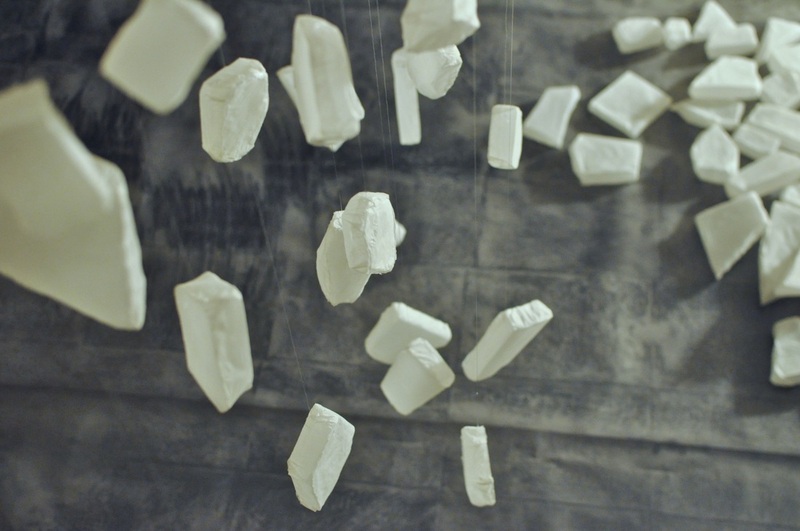 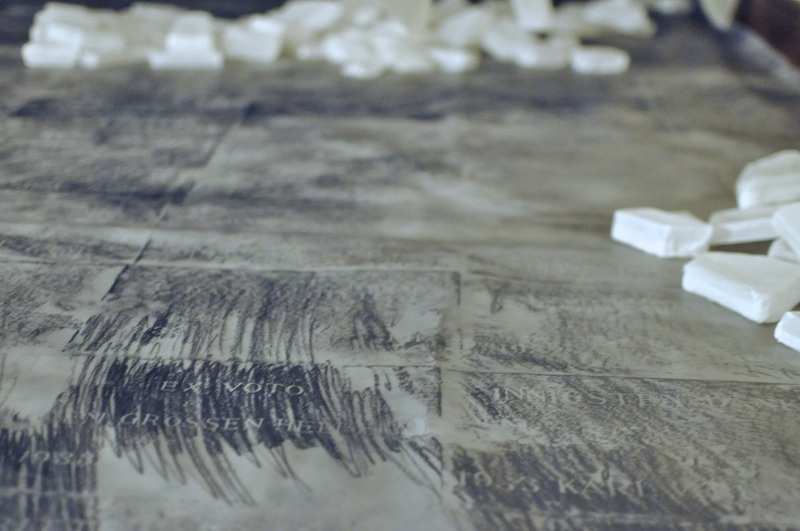 These 432 hollow tracing paper castings are made out of fragments of marbles and stones that were used as ammunition in the riots of Athens from 2011 to 2012.